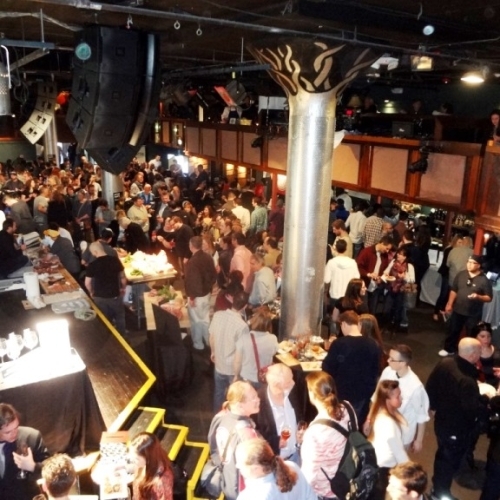 Cochon555, the nation’s acclaimed culinary, wine and spirit celebration in support of charity and education, is celebrating ten years during their 2019 nationwide tour! The dynamic events will all feature more than one hundred prominent chefs, farmers, sommeliers, distillers, brewers and barkeeps all working to create luxurious moments that educate the palate. The tour starts in Dallas in February and culminates with Grand Cochon, the finale on September 15th in Chicago. The goal is to raise the bar on building a sustainable and profitable relationship for brands and chefs participating in culinary festivals. Every event is a fundraiser for Cochon555’s sister charity, Piggy Bank, a start-up farm in Missouri that serves as a kickstarter for new family farms and a safety net for those in the wake of a disaster (flood, fire and disease). Each event features five notable chefs who have one week to prepare a 200-pound pig and present a “Judge’s Plate” scored on utilization, technique, and overall flavor, scored by celebrity judges and participants. The winner of the local competition is announced the “Prince or Princess of Pork” and advances to the national finale, Grand Cochon, which spotlights the best of all regional events in a head-to-tail, winner-takes-all showdown. Additionally, Cochon555’s Heritage Fire events complement the tour as one the most memorable live-fire food experiences of the year. Held in prestigious culinary destinations, Heritage Fire is a hyper-local, whole animal, bacchanal celebrating the raising, cooking, and eating of animals (beef, lamb, goat, rabbit, fish, and poultry) raised responsibly. Each event features 3,000+ pounds of fire-kissed meats and vegetables roasted en plein air by celebrated chefs in a savory tribute to local food communities and age-old cooking methods. Running in tandem with the tour are a pair of internal competitions. Punch Kings presented by El Tesoro Tequila, a whole bottle spirit competition featuring the market’s top barkeeps in a hand-crafted punch challenge and Somm Smackdown, a face-off of the nation’s top sommeliers pairing the best wine with heritage pig. 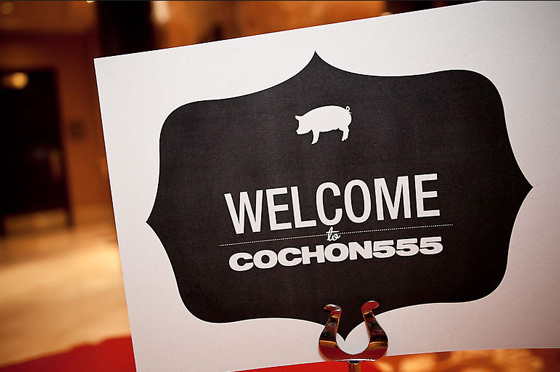 For an in-depth look at the distinguished events of the Cochon555 movement, online videos, tour dates and to purchase tickets, visit www.cochon555.com. The Cochon555 Tour executes a yearly host of authentic, hyper-local food events focused on raising awareness for heritage breed pigs through an innovative nose-to-tail pig cooking competition. This epic pork feast visits 15 major cities in North America annually. The tour is comprised of an array of live expressions and cultivates a long-term impact for heritage species. Both educational and inspirational messages are circulated among 16,000 guests; 2,200+ chefs; 150+ family farms and culinary schools each year. Since 2009, 108,000+ consumers have experienced heritage pork for the first time, more than $1,100,000 has been donated to charities, and over $1,200,000 has been paid directly to our farmers. 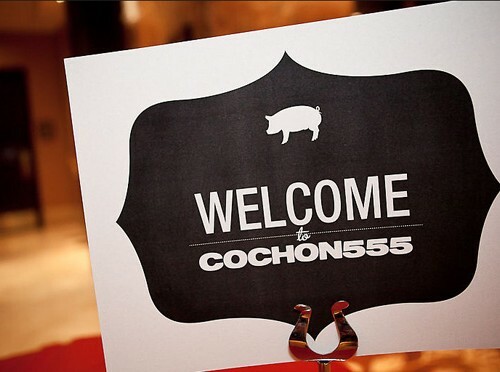 For more information, visitwww.cochon555.com or follow @cochon555 on Twitter and Instagram. Launched in 2015, Piggy Bank is creating a farming sanctuary for heritage breed pigs, many of which are endangered. Piggy Bank will provide genetics and access to shared business plans for raising heritage pigs to emerging family farms. Piggy Bank aims to change the future of food by creating a community in which small farmers can learn about safer, more responsible practices and share genetics, livestock, and the very information needed to thrive as small businesses. Piggy Bank is building a model of socially responsible agricultural transparency. Piggy Bank proudly operates as a project of the Trust for Conservation Innovation, a 501(c)3 tax-exempt nonprofit organization which accelerates impact for initiatives focused on protecting and fostering a healthy, sustainable, resilient, and equitable world. For more information or to donate, visit www.piggy-bank.org or follow @PiggyBankOrg on Twitter. Watch the video http://j.mp/PIGGY_BANK.